The World Extreme Cagefighting is an american mixed martial arts promotion. Their WEC 53 event is significant for a number of reasons. It basically marks an end as well as a new beginning for many reasons. Allow me to explain. World Extreme Cagefighting (WEC) was started in 2001 by Scott Adams and Reed Harris. They ran mixed martial events in California for 5 years until Zuffa (which also owns the Ultimate Fighting Championship, or UFC) purchased the WEC in 2006. The WEC continued to operate separately from the UFC and retained it’s own fighters as well, but many saw the writing on the wall as to what was to happen. After the purchase, Zuffa discontinued using the pentagonal cage and went with a modified version of the UFC’s octagonal cage. In addition, all UFC contracted fighters who held WEC championship titles had to vacate those titles. Then, slowly but surely, the WEC started abandoned weigh classes, starting with the heavyweight and super heavyweight divisions. They said it was to focus on lighter weight classes, such as the bantamweight and featherweight divisions, as those divisions were not currently present in the UFC. Then the WEC announced that it would dissolve their light heavyweight and middleweight divisions after their December 3, 2008 event to further their concentration on lighter classes. Fighters from the light heavyweight and middleweight divisions started fighting in the UFC after the dissolution of their divisions. Then, on February 3, 2009, the WEC officially announced the creation of a 125 lb. Flyweight Division, along with the dissolution of its welterweight division. Again, fighters from the welterweight division started fighting in the UFC after the dissolution of their division. The WEC was down to only three weight divisions, where only the 155 lb Lightweight division crossed over between the WEC and UFC. Finally on October 28, 2010, Dana White, UFC President, made the announcement everyone was waiting for; The WEC would be merging with the UFC. The UFC will absorb WEC’s bantamweight, featherweight and lightweight divisions, and their respective fighters and champions. This is why WEC 53 is significant because it is the final WEC event before everything is unified under the UFC, and marks the end of the WEC. The final fight card for WEC 53 will be held at Jobing.com Arena on December 16, 2010. This also is significant because it marks the first time that Zuffa has hosted an event in Arizona, which is why this is considered to be a new beginning as well. What also makes this event unique is that the WEC and AMP Energy drink allowed the fans to choose the location for this final WEC event. The fans were given 30 cities to choose from, and the finalists were Milwaukee, Nashville, and Phoenix. If it was not for the fans, who knows how long it would have taken for Phoenix to get a WEC or UFC bout. This hopefully will be the beginning of many UFC events to take place in Arizona. So on December 16th at Jobing.com Arena, say goodbye to the WEC, and hello to the possibility of the UFC coming to Arizona. 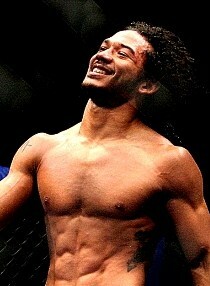 I can’t wait to see what 2011 holds for MMA and the UFC. Both of the current WEC Champions will be fighting. The winner of the Ben Henderson (WEC Champion) and Anthony Pettis bout will face the winner of UFC 125’s Frankie Edgar and Gray Maynard bout in a superfight to unify the WEC and UFC lightweight championships. Dominick Cruz will defend his WEC title against Scott Jorgensen, and the winner will be recognized as the UFC Bantamweight Champion. ~ by Troy Erickson Realtor on December 14, 2010.